Hey guys and happy Monday to you! I hope you are staying warm, I am not. I have just been so cold. They predicted just a little bit of snow for us today and yet it snowed all day. School and business cancellations far and wide. Even schools that don't usually close had snow days. I think we got about a foot or so. It just kept snowing all day! 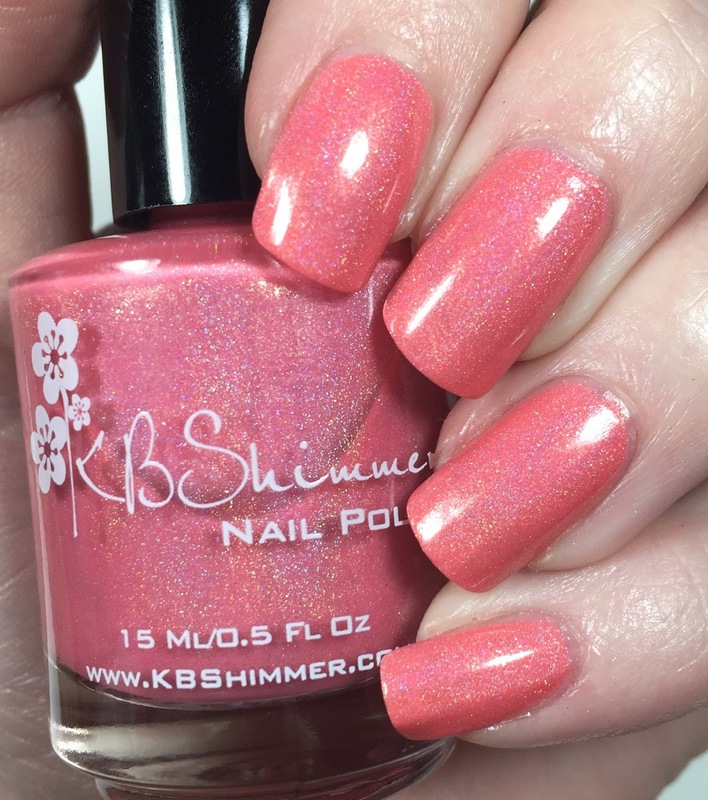 So today's post features part of the highly anticipated spring line from KBShimmer. I am sure that you have already seen the press release (which is why I didn't post it but I can if you want me to). There are 12 new polishes in this collection. There are four holographic polish, which I will be showing today, one cream shade, and seven glitter polishes. I have five of the glitter polishes to share in my next post. With this many shades I thought it best to break it up! 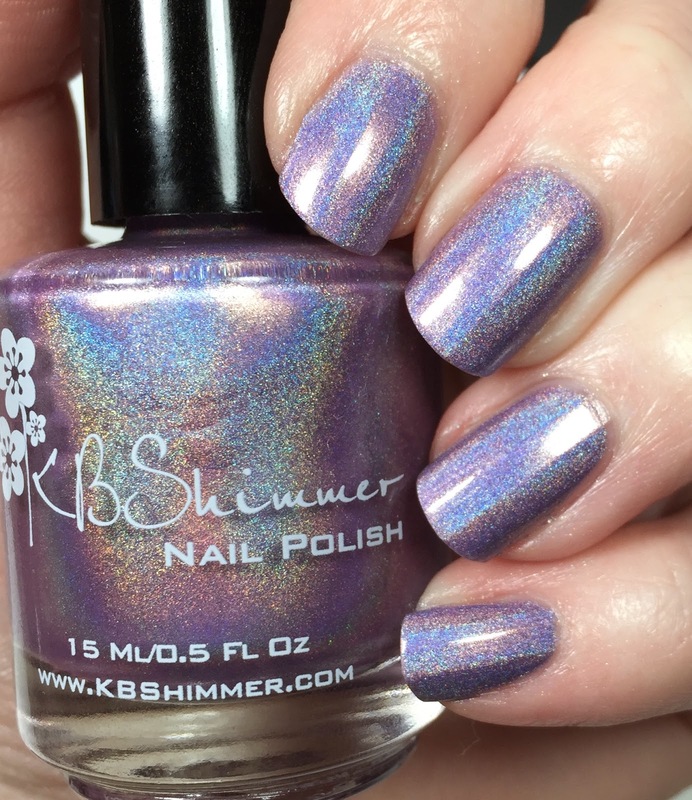 All descriptions will be from KBShimmer. 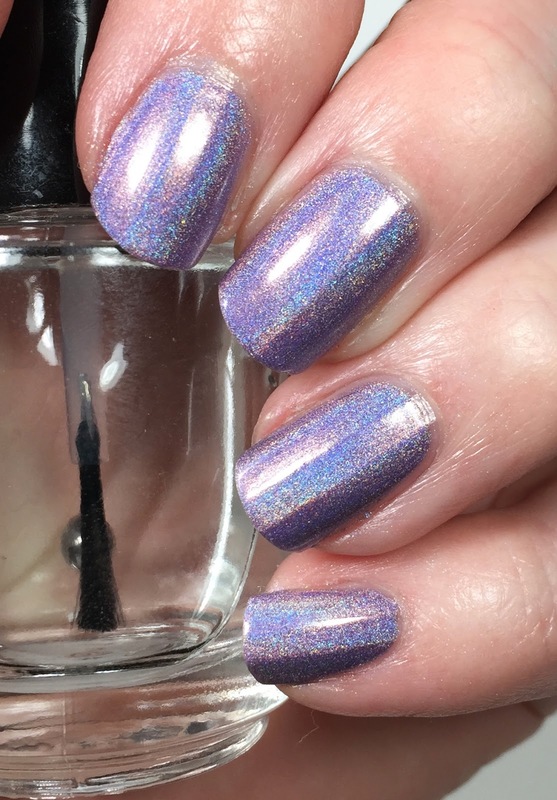 I would also like to add that these are probably the most holographic polishes I have ever owned. They give off rainbows like crazy. I could have also gone picture crazy and added a ton more pictures but I tried to keep it down! First up is Blush Money. 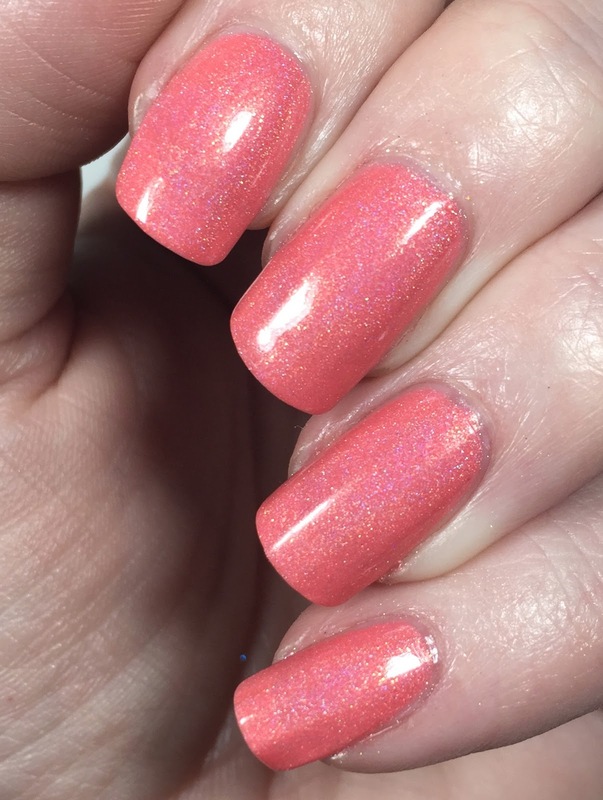 "This is based on the 2015 Pantone color, Strawberry Ice, this peachy rose colored polish shows off gold shimmer indoors and a linear holographic rainbow shines while outside". 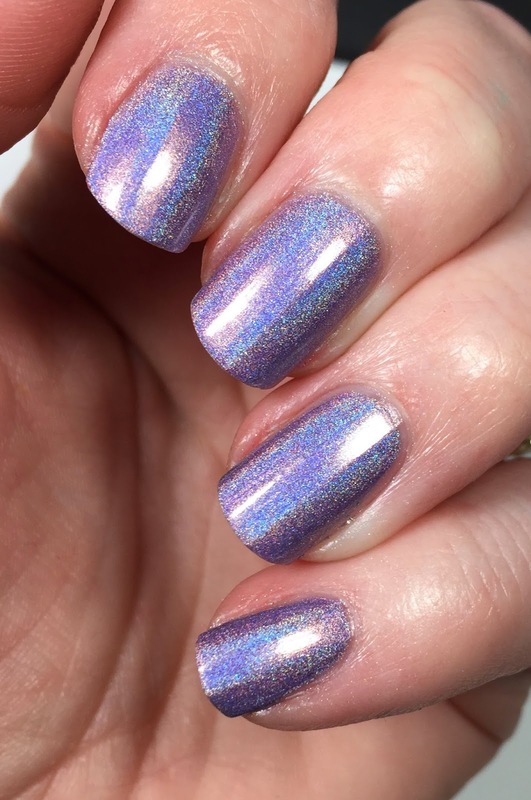 Yes while this one may not be the most holographic of the bunch, this one is a stunner. Even indoors you can see the holo as well as the gold shimmer. I used two coats here for full coverage. This is Ins and Sprouts. I just love the name of this one, when I saw the name I knew I had to get it. 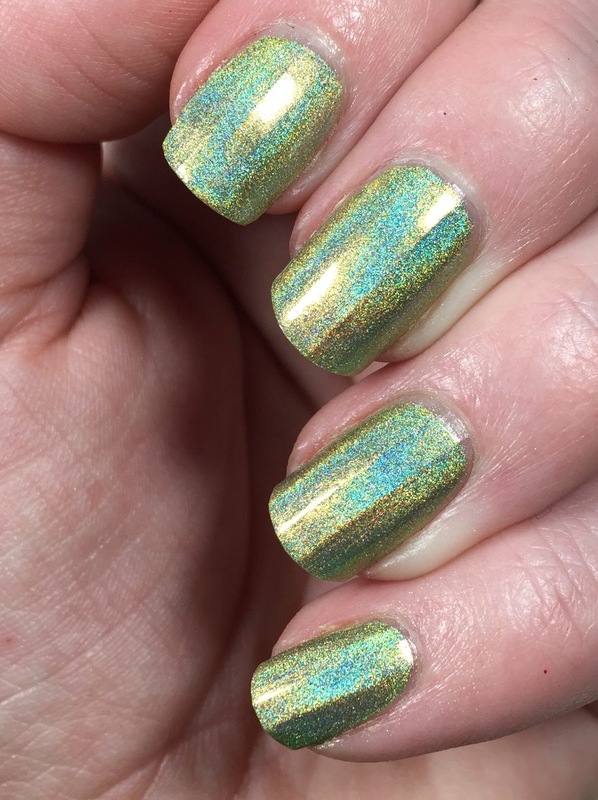 This is "Like a new bud popping through the soil, this pale green citron colored polish is alive with linear holographic shine." 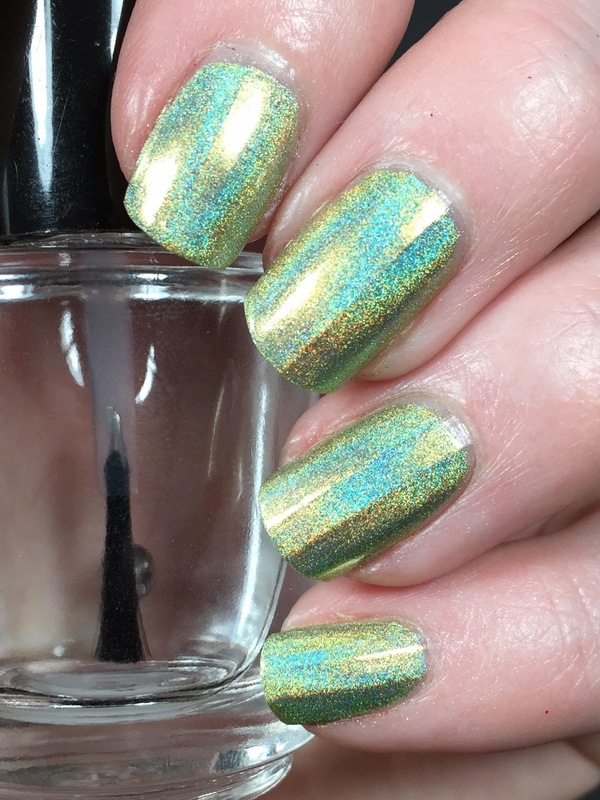 Seriously, just look at the holo in this one. It's crazy! 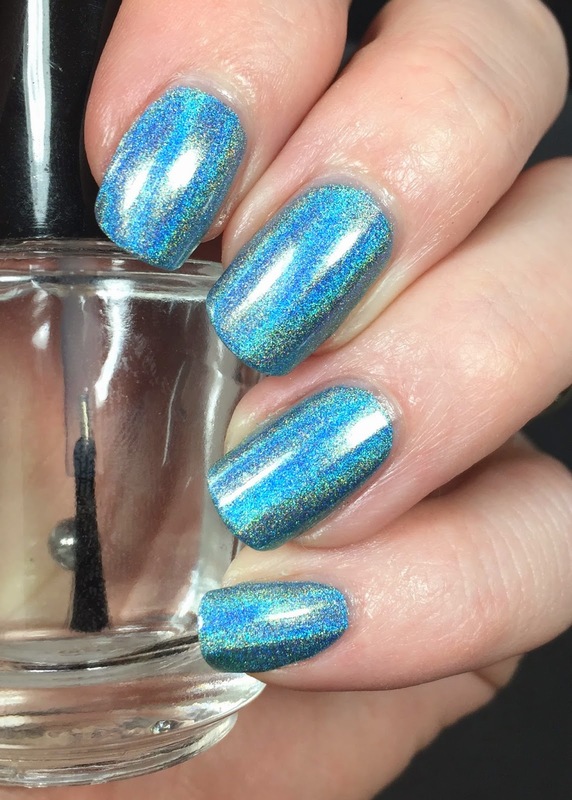 I also only used two coats for this polish. If you like greens, you NEED this one. This one may just be my favorite, but it's way too hard to pick a favorite. This is Blue-d Lines. 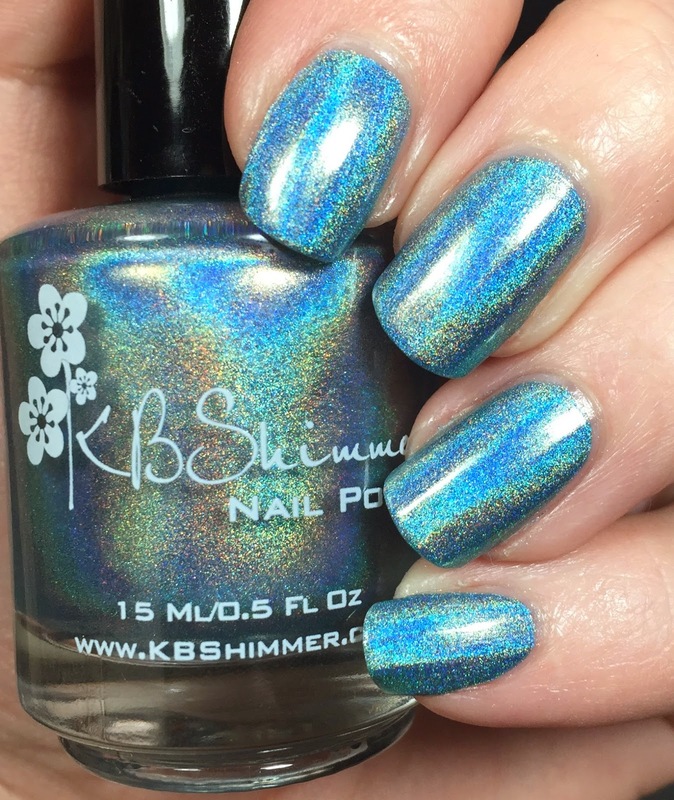 "Pale blue in color, this cool tones polish shines with linear holographic sparkle". It's so dreamy and awesome. 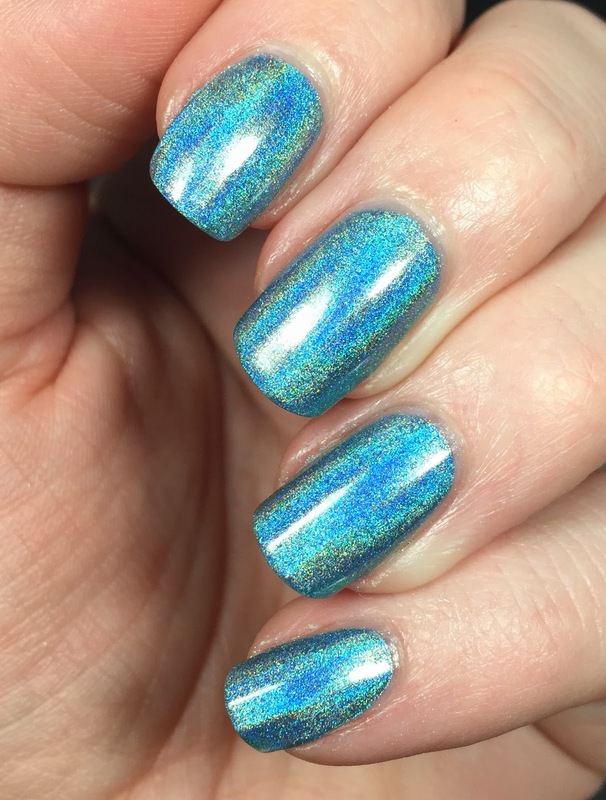 I used two coats here and I couldn't stop staring at my nails while I wore it. Had to save the purple for last, this is Thistle Be The Day. "A pale pinkish purple that shines in the sun with a linear holographic rainbow" Rainbows abound in and out of the sun. I used two coats here too. 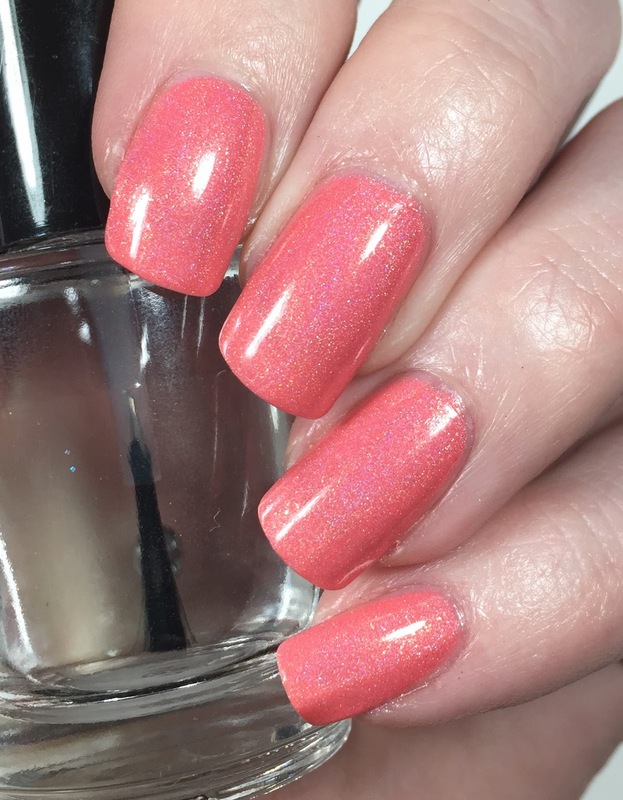 The polishes just made me swoon. They were so easy to apply and they all wore extremely well for days. Thankfully I was able to wear all of these as full manicures for days. I appreciated the extra time to get to fully use these and enjoy them. These all go on sale Feb 6th so make sure you scoot over there and scoop them up! Which of these would you like to get your hands on? 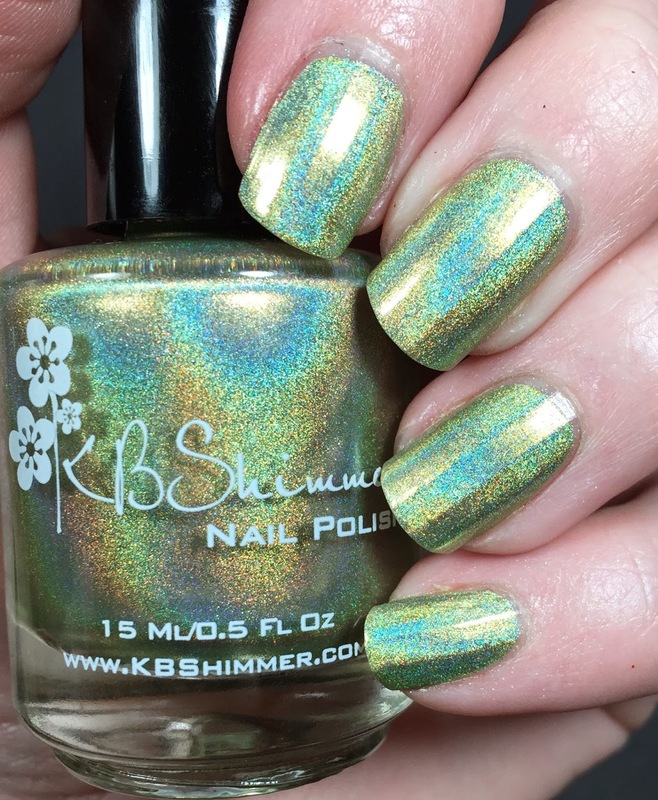 Those are some gorgeous holos from KBShimmer!